FitLinks: Best City to Lose Weight In, Twitter Makes You Thinner & More! Road trip! Let’s all go to San Fran! 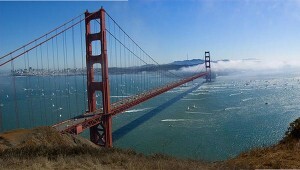 Why we want to visit the home of the Golden Gate Bridge (besides the view and fresh sourdough bread), the best workout gear of the year, fun ways to work out outdoors and more in today’s FitLinks!